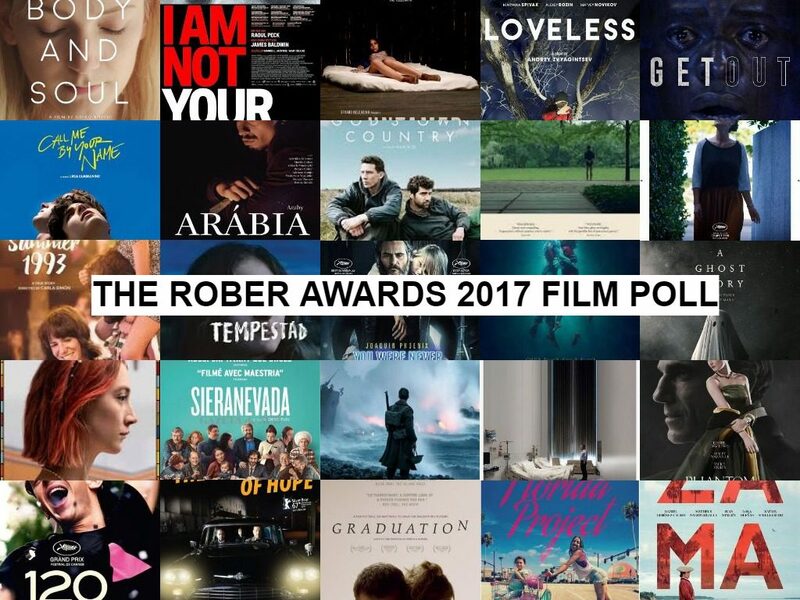 The 2017 Rober Awards Film Poll is up and running, open for everyone to cast their votes. Sean Baker’s extraordinary look at the lives of the American underclass in The Florida Project leads the list of nominees with eight, followed by gay romances Call Me By Your Name and God’s Own Country and Lynne Ramsay’s psychological thriller You Were Never Really Here with six each. Christopher Nolan’s recreation of the Dunkirk evacuation; Greta Gerwig’s personal account of her teenage years in Lady Bird; French AIDS drama BPM (Beats Per Minute); Paul Thomas Anderson’s superbly crafted Phantom Thread and Lucrecia Martel’s big screen adaptation of Zama are among the other films with multiple nominations.